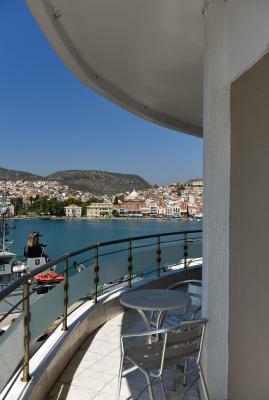 Lock in a great price for Blue Sea Hotel - rated 8.1 by recent guests. The location and the view from the hotel. Both were exceptional. Excellent location, ferry departure across the street, walking distance to the restaurant area(s). We stayed in rooms with harbour view, balcony equipped, real nice. Rental car available on the premises, good breakfast. The hotel quite possibly offers the best view of Mytilini in town, not to mention that all cafés, bars, the area with the restaurants in the narrow cobbled streets, the fish restaurants at the port, the city beach and the touristic sights in town are all walking distance from the hotel. If you're traveling by car, as I was, you can safely leave it at the harbor's free parking for as long as you want. perfect for those who travel by ferry. 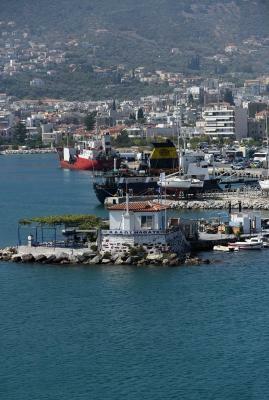 Very close to port, spacious clean room with great view from balcony. Short walk to main shops and restaurants. Reasonably priced rooms. Room cleaned everyday with fresh towels and toiletries. 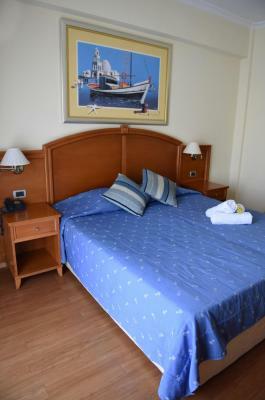 The bed was really comfortable, the location of the hotel was so close to port and the city center. Furthermore, the personnel staff were really hospitable for us in terms of renting a car. Next neighbour was a nice aestetic new coffe-bar, "Art & Coffee", with excellent coffee and nice service. Next neighbour after that, a nice restaurant with first class pizza (and many other things). Very convenient! Extraordinary sea view and a nice balcony. Location and rooms with sea view! One of the best spots in Mytilini! 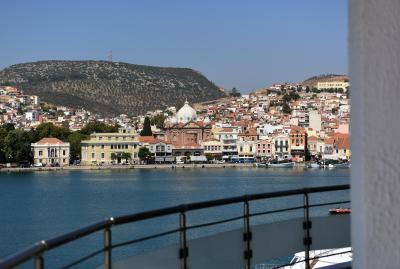 One of our top picks in Mytilini.Overlooking the Mytilini main port and the sea, the 3-star Blue Sea Hotel offers a lounge bar, 24-hour reception and soundproof rooms with free Wi-Fi and free parking. 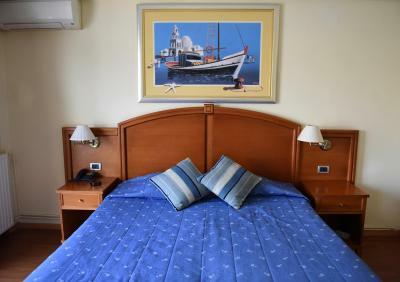 Blue Sea rooms are classically furnished and decorated in warm colours. Each features designer bed linens, satellite TV and private balcony. 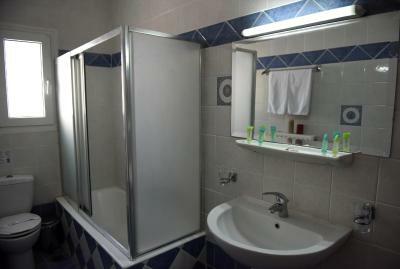 The modern bathroom offers a hairdryer and amenities. The Blue Sea Hotel offers a breakfast room, as well as a bar. Guests can dine in the privacy of their rooms through 24-hour room service. 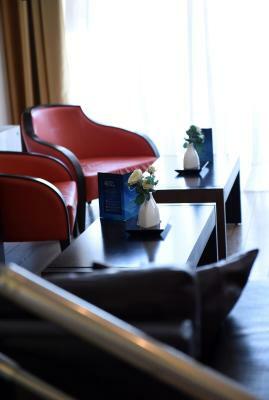 Hotel Blue Sea’s convenient location in the centre of Mytilini allows quick access to restaurants and shops. 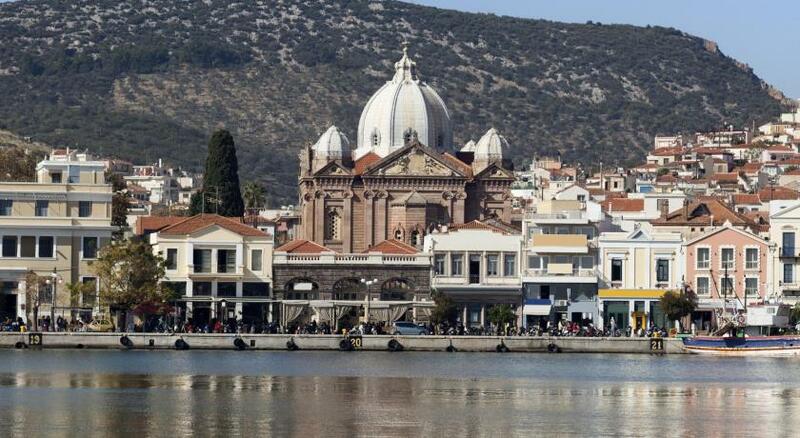 The hotel is just 150 yards from the Archaeological Museum, 350 yards from the municipal beach and the Old Castle. The airport is just 3.7 miles away. 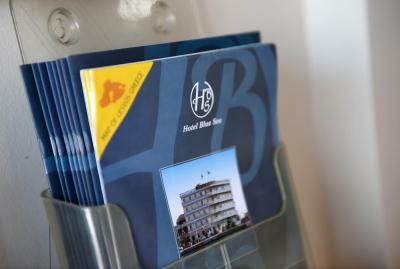 Blue Sea Hotel has been welcoming Booking.com guests since 16 Feb 2011. 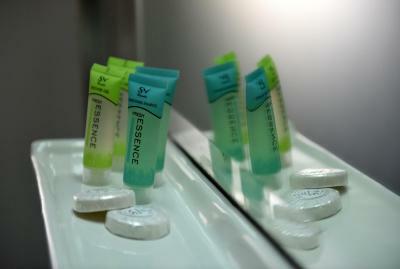 When would you like to stay at Blue Sea Hotel? 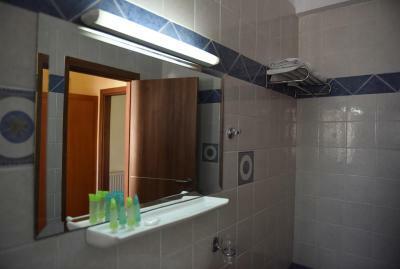 Air-conditioned room with a satellite TV, mini fridge and a private bathroom with hairdryer. Twin or double-bedded room with a sea view. Triple room with a sea view. Suite features a large balcony with panoramic sea view. 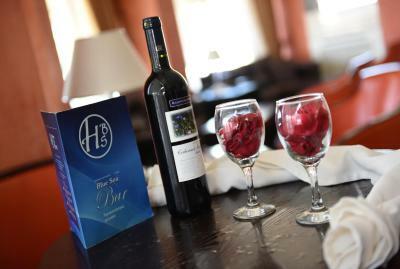 House rules Blue Sea Hotel takes special requests - add in the next step! Blue Sea Hotel accepts these cards and reserves the right to temporarily hold an amount prior to arrival. If you are traveling with your pet, please inform Hotel Blue Sea before arrival for approval on the type of pet that you wish to bring. Shower area in bathroom very small. There was a problem with the electric contact point with the room key, meaning that the room had no electricity and hence we had to change rooms in day 2 of a 3-day stay. Not anybody's fault but quite annoying. Hall carpets were old, warn and didn't seem too clean. Beds were comfortable and the room very clean. A good breakfast in a pleasant space. Helpful staff at the desk and housekeeping. Even the hotel was just a few steps from the port, we had to take a taxi because when we made the reservation and asked for directions from the port we didn't get any answer and the information on the webpage didn't show us the location. There were no hooks on the walls and behind the doors to hung towels and clothes, the shower was a little small. Great location, great view, very nice staff and very satisfying breakfast!! 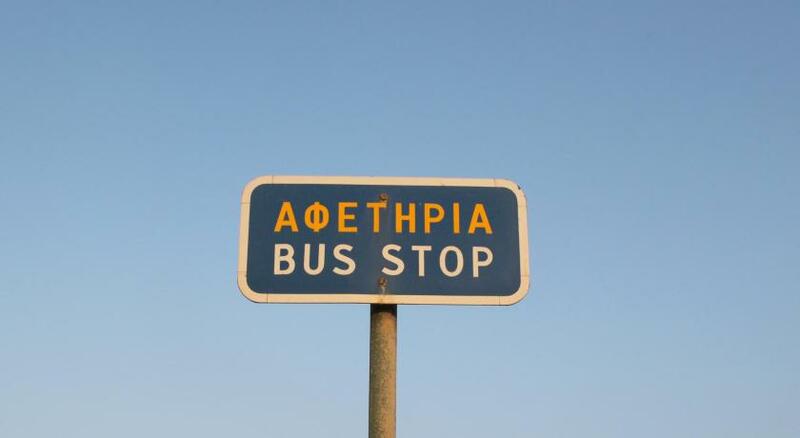 For summer time temperatures in Lesvos, the air conditioning in the room was set at a temperature which was way too weak. Whilst putting it on the lowest setting from the remote control, it is clear that the actual air-conditioning set in the room is adjusted by the hotel to not go beyond a certain temperature (probably as an energy/bill saving measure). I am careful not to leave my a/c on when I leave the room, but at the level set by the hotel, the a/c is then ineffective to cool the room in the peak of summer. The location of the hotel and the views of the room were simply perfect. 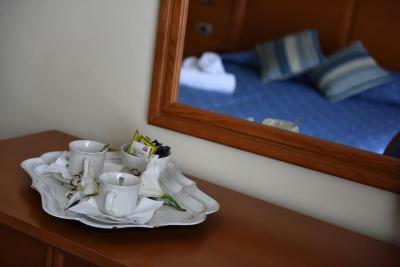 Besides, the rooms were spacious, having all the necessary features - nothing fancy, but very comfortable. All in all, I had a very pleasant stay. The breakfast is less than our expectation. At least , the cheese selection should be more. 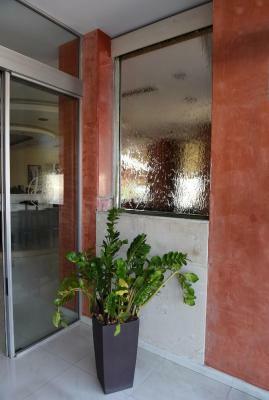 Location is super with sea view and very close to the center and also to the port. The reception staff is very friendly.